What is co-dependency? The common definition is a set of learned behaviors and responses one develops as way to cope with living with or being in a relationship with someone who has a problem with addiction. It is a type of personality disorder that can become a serious threat to the people involved. A co-dependency relationship involves an enabler and an abuser. While it is standard to think of the co-dependent relationship as involving two people, these relationships can also occur within a family unit. The best way to address these issues is with the help of a professional co-dependent intervention. The typical cycle of a co-dependent relationship involves an enabler covering up for the abuser when the abuser’s addiction takes over. The enabler will often make excuses for the abuser’s behavior. They believe their love, care, and devotion will prevent the abuser from succumbing to their addictive tendencies. The abuser, in turn, relies on the enabler to be there to pick up the pieces and cover up for them when their addiction takes control. This type of relationship can spiral out of control, especially when the enabler chooses to continually ignore the situation. In doing so, the abuser’s addiction grows in power. Therefore, it is imperative to seek professional co-dependent intervention to prevent it from happening. As already mentioned, a family living with an addict is affected. In this case, the entire family is the enabler when they choose to ignore or avoid the addictive person’s issues. Children growing up in an environment with an addict are prone to exhibit co-dependency issues. This is their defense mechanism for dealing with the emotional pain. When they grow into adults, they are more likely to seek out these kinds of toxic relationships. To stop any further damage, the entire family unit is a prime candidate for co-dependent intervention. A co-dependent person is usually the one who tries to control all aspects of the relationship. The typical co-dependent characteristics are perfectionism, distrust, and a heightened awareness of potential threats. They tend to have intimacy issues and avoid recognizing their own emotions. Physical ailments can manifest from the stress they are under. These are not healthy behaviors to display in a relationship and are, in fact, dysfunctional issues. By definition, the term enabler means to give power. They give power to the abuser to continue with their addictive behaviors without paying the consequences. Giving away power is a way for the enabler to protect themselves and avoid having to face the aftermath of the abuser’s behavior. A Co-dependent intervention is a way of finally saying “no more”. 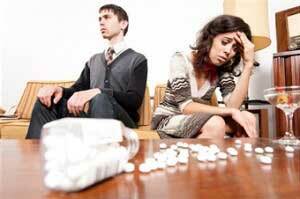 This life intervention will let the addict know that their actions and behaviors will no longer be tolerated. Family and friends, with the help of a professional, all gather together to confront the abuser about their dysfunctional behaviors and how it’s hurting their loved ones. Professional interventionists help explain the situation from a neutral side as well as guide everyone involved through the intervention process. They stay in contact during transportation to the treatment facility and after the treatment is over. They continue to provide counseling for as long as is needed.